20649 S.W. Roy Rogers Rd. SAWATDEE, the most used word in the Thai language, means 'Hello' and 'Good-bye'. Traditionally, you would place both hands together, just below your nose, when using this term. By doing so, it shows both respect to others as well as gratitude when giving or receiving. SAWATDEE KRUP - is the term used by men. 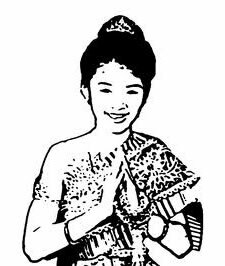 SAWATDEE KA - is the term used by women.